Bohemian Rhapsody is an entertaining look at Queen and frontman Freddie Mercury. Rami Malek gives an Oscar-worthy performance. The supporting characters are mostly underdeveloped with the exception of Lucy Boynton who plays Mary Austin, Freddie’s first wife. The film is framed with Queen’s Live Aid performance. 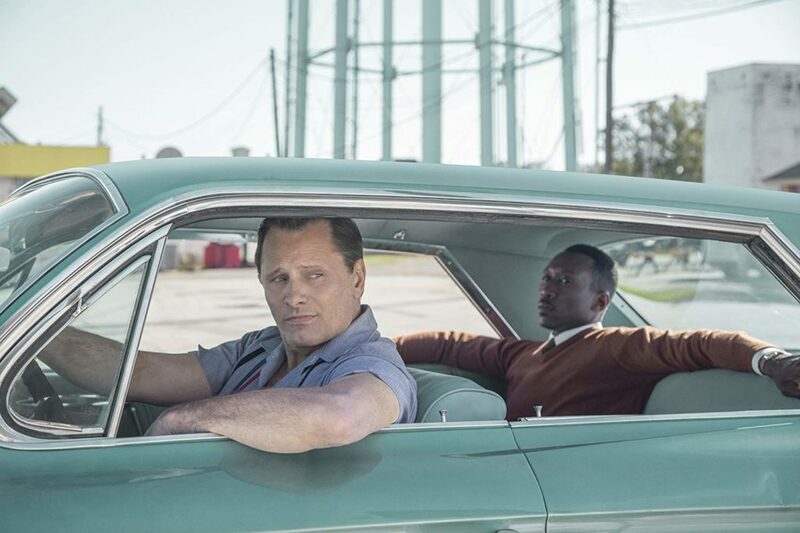 It may be early in the Awards season, but Green Book is my front-runner for Best Picture. This is a superb film from start to finish. My favorite scene comes toward the end of the film when Mahershala Ali, who plays Dr. Shirley, plays piano in a bar after refusing to play for members of a club that refused to serve him dinner. Both Viggo Mortensen and Mahershala deserve Best Actor nominations. I’d also give the screenplay an Oscar. There was, however, one missed opportunity. Near the end of the film, Dr. Shirley returns home on Christmas Eve. He sits alone. Prior to this scene, there was mention of his brother who he hadn’t talked to in fifteen years. This was the time when he should have picked up the phone and called his brother. Viggo Mortensen deserves a special award for the most eating scenes in a film. I’m guessing he gained a few pounds during the course of filming. Go see it.